Kids love everything about Peppa Pig. 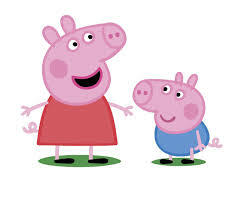 Parents wonder why their children don’t get tired of watching Peppa Pig’s funny 5-minute videos. They won’t miss the opportunity of seeing Peppa and her friends live on stage. They hoard Peppa Pig items and accessories in the toystore. They hum the show’s theme song randomly and laugh with loud snorts while watching You Tube videos. If your kids do all these, they are certified Peppa Pig fans. But wait, dear Peppa Pig fans. Do you know that there is an adorable pig character in a classic Filipino storybook? Yes, Pinoy kids and parents get ready to meet an extraordinary pig. Get to know Butsiki, the patron saint of pigs! This unique pig is the lead character in Rene Villanueva’s award winning children’s story “Ang Unang Langit sa Baboy” (First Prize, Carlos Palanca Memorial Awards for Literature, Maikling Kuwentong Pambata, 1990). Even at birth, Butsiki’s parents already know that their piglet is extraordinary. She is a “marvelous pig with a star on her forehead and nails that gleam”. Imagine a pig with these good hygiene practices: washes face when she wakes up, washes hands before eating, takes a bath everyday, covers her mouth with her handkerchief when sneezing and combs her hair. What a pig! Peppa Pig will not only stomp in the mud but roll with laughter when she meets Butsiki! Butsiki explained her unusual behavior to her parents. She only wanted to maintain cleanliness in their surroundings so they can all stay healthy and free from illnesses. In no time, she was able to convince her family and community to keep their surrounding always clean and free from any dirt. But like in real life, Butsiki can’t please everybody. Big Pig, the despotic leader of pigs was not happy of Butsiki’s cleanliness campaign and growing influence to the community. She was put to trial and Big Pig banned any kind of cleaning in pig households and communites. All pigs became unhealthy until there was only one that remained clean and worthy to be served in a feast as a lechon. After the party, when all the guests enjoyed the delectable lechon, Butsiki went straight up to heaven and was declared as the patron saint of all pigs! Children may find Butsiki’s actions weird but as the story goes along, her message comes across smoothly and unexpectedly. Even parents who read aloud this story to their children will find themselves laughing and admiring the author’s way of deconstructing a pig into someone who is totally unbelievable yet relatable. Children now sees that being different can be good and can even be used to create a difference in people’s lives. In one of his lectures, Rene Villanueva explains the cultural context of the story. He points to the period when our country under Martial Law as the background of Butsiki’s story. He further explains that children may not realize the story’s connection to an important event in our country’s history but they will certainly see the repression and injustice that Butsiki suffered for just promoting cleanliness in their community. Renato Vibiesca, a Palanca winner and author to a number of children’s storybooks such as “10 Kuwento ni Kuya Nats and Taho..Taho..Tahooiey, shares how “Ang Unang Baboy sa Langit” influenced him as a writer. 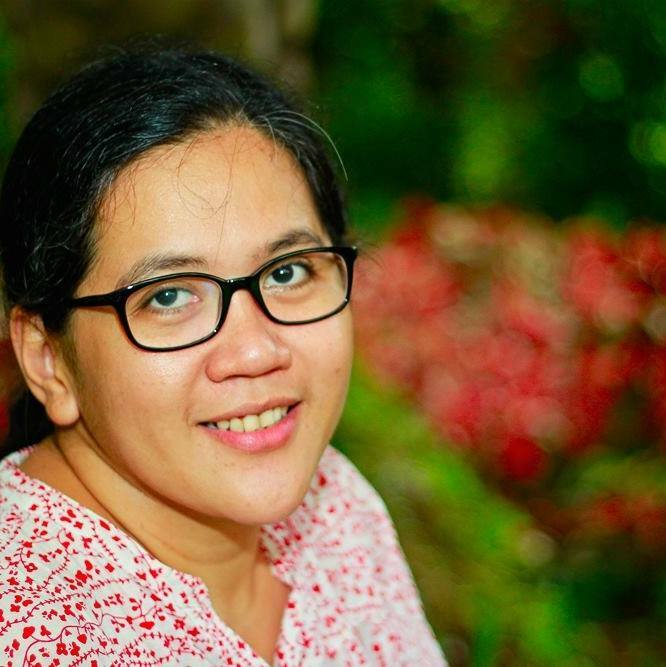 “Rene Villanueva always gives new and fresh ideas in his stories. He is a fearless writer, willing to experiment and create extraordinary characters like the over clean pig, Butsiki,” says Vibiesca. 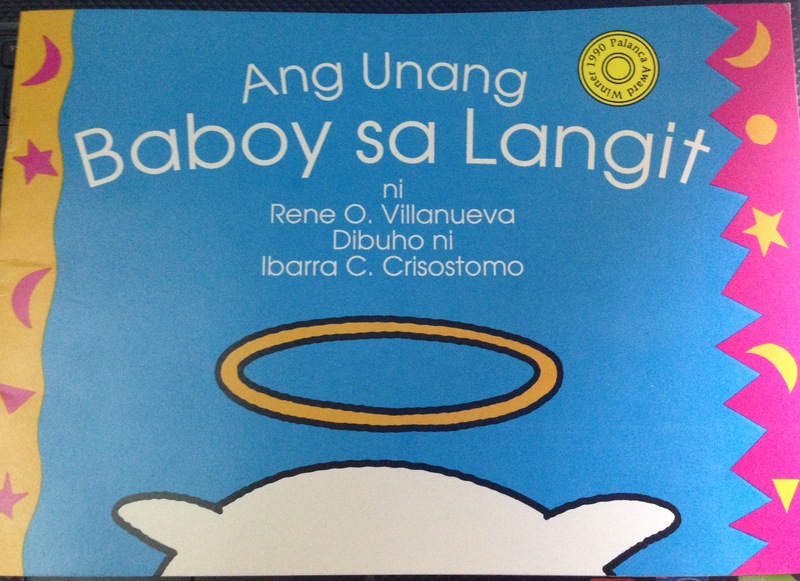 Genaro G. Cruz, writer of children’s strorybooks, regards Ang Unang Baboy sa Langit as his standard in terms of language, structure dialogue and values in his stories. “Talagang pambatang-pambata ito para sa akin,” shares Cruz. Pigs are known to be playful and social animals. This may be one of the reasons why children easily gets attached to pig characters in storybooks and TV shows. Peppa Pig loves to splash in muddy puddles while Butsiki keeps himself always clean. They are complete opposites but they both give important messages to the children who watch and read them. These adorable pigs show their abundant love and care to their family, friends and community. Nanays, which piggie character is your favorite? We came across another piggie character. Check out Piggie, Gerald the Elephant's best friend in Mo Willems' books. Try reading his book "There's A Bird On My Head" with your child. It's our favorite Mo Willems' title. Enjoy reading!